The Hibor surged to its highest this year but Bank of China Hong Kong (2388) believes it will drop. Overnight Hong Kong dollar interest rates and tomorrow next rates grew to 2.96 percent and once increased to 5 percent yesterday. The Hong Kong dollar exchange rate strengthened to 7.83 per US dollar yesterday morning before slipping to 7.84 in the afternoon. Mainland companies reportedly sold US dollars and bought HK dollars over the past few days. An unnamed trader said the companies bought a significant amount of HK dollars, adding that he expects Hibor to rise further. Chordio Chan Siu-ping, general manager and head of investment in Bank of China Hong Kong, said the strong dollar rate was due to the aggregate balance in the banking system that dropped to almost HK$50 billion, leading some banks to reserve more capital. He believes the overnight HK dollar interest rates may fall to around 1 percent after one to two weeks. Meanwhile, HSBC said Hong Kong has turned from a lending center to an asset management center. George Leung Siu-kay, adviser to HSBC Asia-Pacific, said Hong Kong's asset management amount is double that of total lending. He believes as more mainland people become rich, the consumer market will expand and since China's economic development tends to get pulled by domestic demands, Hong Kong's intermediary trade market and lending needs are affected. Leung believes Hong Kong should further engage the Greater Bay Area to seize opportunities from China's economic transformation. 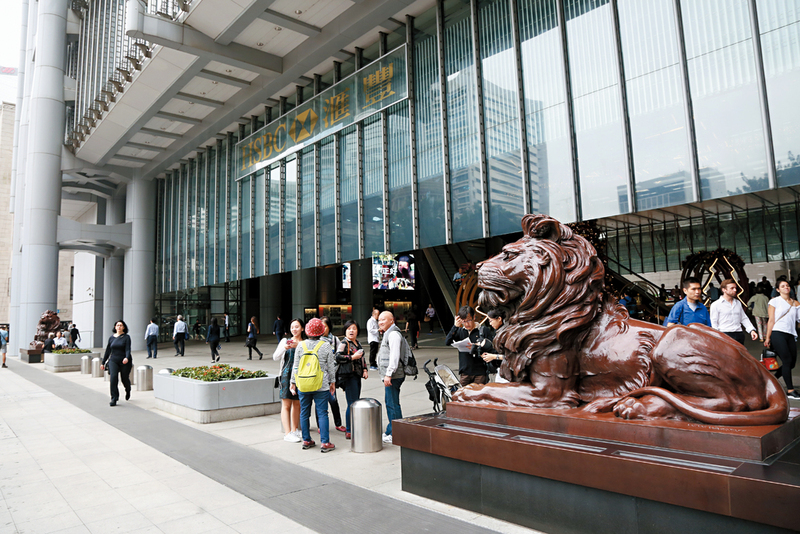 The HKMA said Hong Kong has room to further grow derivatives. Deputy chief executive Eddie Yue Wai-man said derivative markets offer cost-effective ways to maneuver investments; more importantly, they are effective risk mitigation tools. "In the context of Asia, where cross-border flows are large and where opportunities for foreign investors are plentiful, derivatives can help investors deploy capital without being subject to excessive short-term price fluctuations, by hedging out currency and interest rate risks. The upshot is that capital can then be allocated to usages that benefit long-term economic development in the region," he said.